A college degree is an important investment, as well as a sacrifice of time and resources. It’s stretching; it’s challenging, and if you’re reading this and wondering, “Is it worth it?”, know you’re not alone. ROI means “return on investment.” It’s something people use to determine decisions both large and small. When you look at an ROI, you’re essentially weighing out costs against the benefits of an investment or purchase. You’re cutting to the raw pros and cons, and posing a simple question: Will this be worth it? It’s a valid question, and if you’re looking at the ROI of a college degree, there are a few factors to consider. First, there’s the financial aspect. Tuition varies widely depending on field, program length, level, on campus vs. online and more. For the sake of a figure, let’s look at findings from U.S. News & World Report. From 2018-2019, they place the average price of tuition at a public in-state institution at $9,500; for public out of state, $21,629; for a private university or college, $35,676. Sounds like a lot. But let’s look at the payoff, specifically in the context of the pay scale and employment rates. 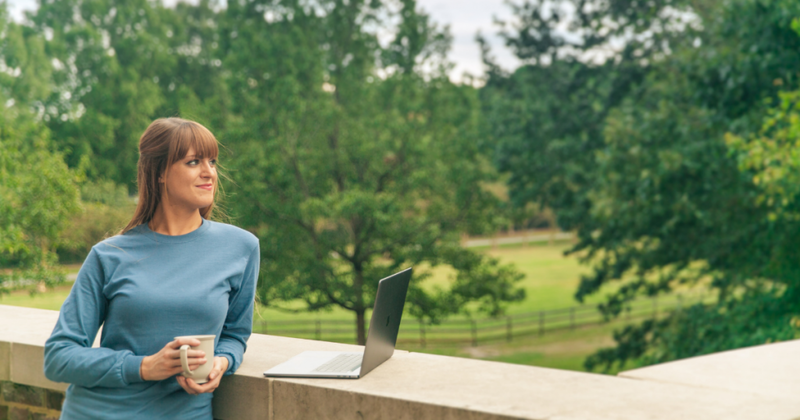 Fortunately, Regent University has no out-of-state tuition costs, so you can receive the best in quality and affordability among private, Christian universities. Data from the Bureau of Labor Statistics shows the average annual pay for those with no more than a high school diploma as $35,256. That same demographic also has a 5.4% unemployment rate. For those with a bachelor’s degree, annual salary goes up to $59,124 and unemployment drops to 2.8%. These numbers rise to an average earning of $69,732 per year for those with a master’s degree. Unemployment for them drops to 2.4%. Fortunately, there’s also a sea of financial aid, such as scholarships, including ones based on interest, ethnicity and academic achievement, out there that help lighten the burden of tuition. What’s more, institutions, including Regent University, have an office or department designated to helping students find and attain financial aid. Pursuing a college education also costs something less tangible than money: time. Although the advent of readily available online and hybrid courses means you can study from where and when you want, it’s still costing you time. That time spent is something you can’t buy, you can’t earn, and you can’t get back. Its value is difficult to measure out in reliable, hard data and you could argue even that it’s even more valuable than money. Simply put, it is a cost — just as legitimate as the financial aspect of an ROI — to consider. That said, if you’re be spending time on something, wouldn’t it make sense to pursue a degree — something that opens doors to more opportunities? As data shows, a diploma from a university or college only benefits you and your pursuit of both educational and career advancement. So why not make the most of your time and get equipped now rather than later? Bottom line, if you have the time, it would only benefit you to spend it on bettering yourself; the sooner, the better. Just as the time-related cost to a degree is difficult to measure in an infographic or data table, so are the benefits. There’s an invisible element to the ROI associated with a degree. It’s about more than a diploma or an accomplishment on a resume. In college, as with many careers that bring the return of a paycheck, you’re not only earning a return on finite things like time and effort, but you’re gaining the advantage of experience. It’s that experience that enriches you and allows you to move on to bigger and better opportunities. The process of earning a degree is one that not only puts you on a higher pay bracket, but helps you grow personally and attain a host of skills that make you a better, more valuable candidate for employers. Yes, there’s a price tag, but the value in a college education lies in the experiences, connections, and lessons (academic and beyond) you earn and learn. There’s no way to gauge that in a hardline, financial ROI. While navigating college requires a lot of thought and effort, it is an experience that can advance your career and help you grow as a student, an employee, and best of all – as a person.